The real estate market in the west and southwest of Ha Noi is expected to develop further with the development of infrastructure and high demand, according to experts. In the first quarter of this year, Ha Dong, Nam Tu Liem and Thanh Xuan districts in the region had most apartments for sale in the city with 12,000-19,000 apartments per district, reported JLL Viet Nam, a foreign property service provider. Meanwhile, CB Richard Ellis (CBRE) Viet Nam Co, Ltd, another foreign property service provider, said the region accounted for 36 per cent of new apartment supply in the city in the first quarter of this year. In the first quarter, core urban districts such as Cau Giay, Tay Ho and Tu Liem in this region continued to witness increases in resale prices, ranging from 1.4 per cent to 7 per cent quarter-on-quarter, on the back of newly-recorded large-scale projects that were launched in previous quarters and offered at prices higher than average, said CBRE Ha Noi. Additionally, developers of landed homes were committed to stronger investment in facilities and amenities within the townships. For instance, clubhouses of international standard at Park City came into use during the quarter, while Dinosaur Park is to be introduced at Vinhomes Riverside Phase 2, together with several clubhouses catering for different zones within the township. 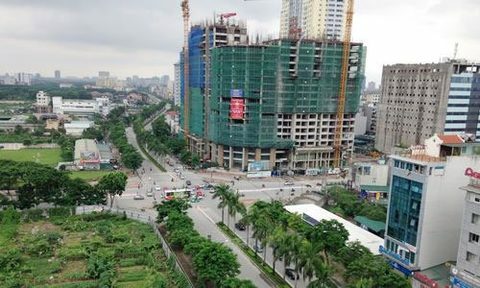 According to a plan on developing Ha Noi by 2030 with a vision to 2050, the west and southwest of Ha Noi will become a new administrative, service and trading centre, reported cafef.vn. The development will promote socio-economic growth in the region, leading to higher demand for housing, synchronous infrastructure and public convenience. Moving forward, the west and southwest will continue to have the largest number of units launched, says a report by CBRE Ha Noi on the city’s property market in the first quarter. Other areas such as Tay Ho District and midtown are also expected to welcome new quality supply. There is increasing interest from local developers in the affordable segment, and new units are to be launched from this segment in the upcoming quarters. Near-term stable performance is expected with more multi-functional products. The focus will be on affordable housing, mainly in large-scale projects in Ha Dong, Hoang Mai, Tu Liem and Thanh Xuan districts, Savills Viet Nam, a foreign property service company, says in its May report on property prices in Ha Noi. In the first quarter, the Residential Index was 106.6, decreasing less than 1 point quarter-on-quarter and year-on- year. The average selling price of VND27.4 million per sq.m was due to lower secondary prices in some projects under pressure of increasing supply, according to the report. The overall primary absorption rate of approximately at 27 per cent was down 4 percentage points quarter-on-quarter and eight year-on-year due to the large supply.